C-3PO: Oh, my stars, Han shot first! Han Solo: Of course. It was me or him. Why wouldn't I? C-3PO: That is a subject of some debate. 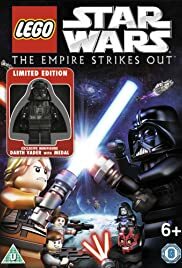 One doesn't sit down to watch a direct-to-DVD Star Wars themed animated Lego movie expecting Toy Story. However, is it too much to expect the makers to have at least tried to tell an actual story? 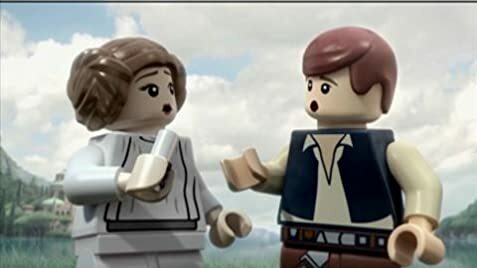 On the plus side, the animation here is quite nice, perfectly capturing the spirit of the actual Lego toys on which it's based, and it was a pleasant surprise to hear a few actual Star Wars actors providing the voices for their characters. But the story—such as it is—feels like nothing more than an empty vessel to hold a series of lame, half-hearted gags. I have a young niece and nephew and I know for a fact that there's a lot of very clever children's entertainment out there right now. Sadly, this isn't it.